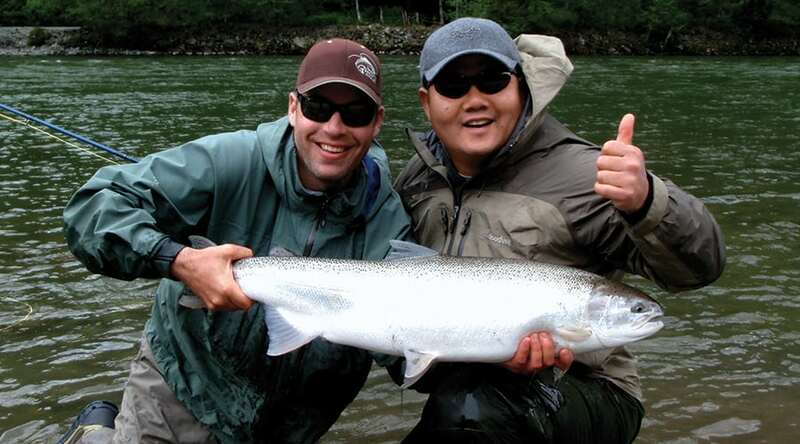 Fishing for winter steelhead on the fly (single hand or spey) is arguably one of the most challenging and rewarding fisheries in BC. 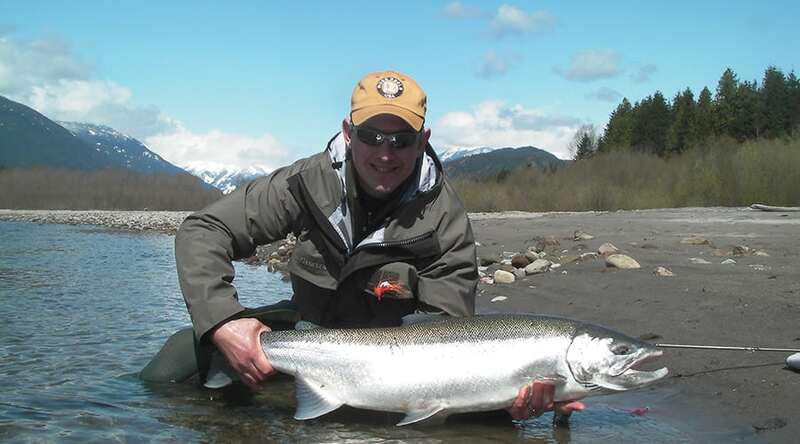 Let our steelhead gurus help you unlock the mysteries of these magical fish with their decades of steelhead guiding knowledge. 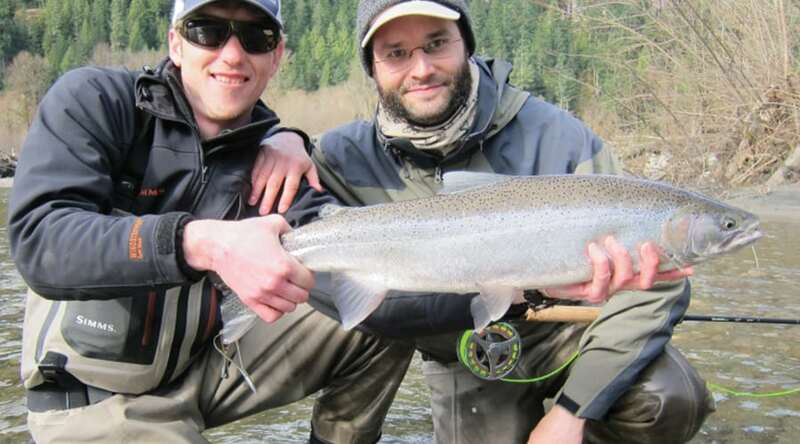 This course consists of a 3hr evening seminar and 1 full day of guided fishing on the water. In the seminar we will go over rods, reels, lines, sink tips, flies and reading water and swung fly techniques. 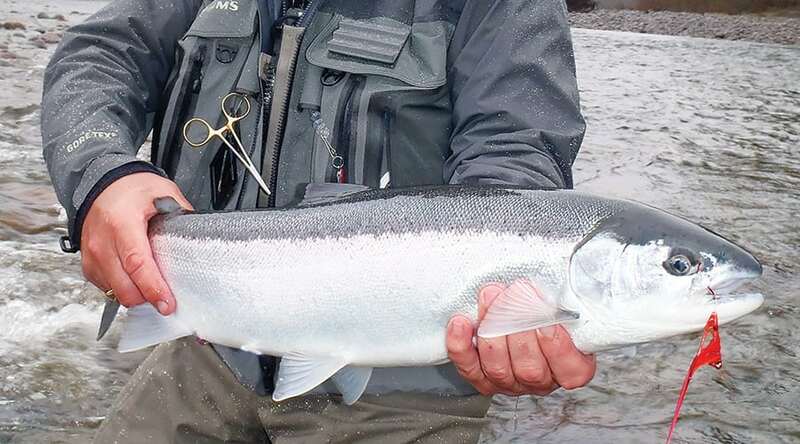 The fully guided day on the water we will be work on casting, reading water and swinging the fly.